Been a month or more since I've updated anything here. I'll try to get on to it, but Twitter / Facebook are my social media of choice at the moment. 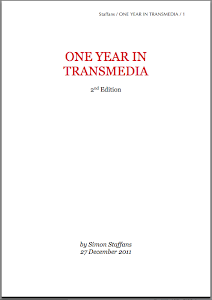 I've just finished a report on the development and marketing of television and cross media formats, which will be published shortly. I'll link to it as soon as it is available. If you haven't got much else to do next week, why not show up at EuroITV in Leuven, Belgium? We'll be hosting a workshop there on Wednesday, and the conference itself is on Thursday and Friday. There should be some interesting stuff - I'll blog about that as well, hopefully.